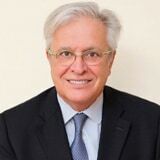 Executive Director of UN-Habitat, Secretary-General of Habitat III and former Mayor of Barcelona, has a long career in the Spanish Government both at the local and national level. Between 2006 and 2008, he was appointed Minister of Industry, Tourism and Trade in President José Luis Rodriguez Zapatero’s cabinet and he has served as Ambassador to the Republics of Turkey and Azerbaijan. Clos first joined the Barcelona Municipal Government as Director of Public Health in 1979. During this period, he was instrumental in conceptualizing the General Health System law. Elected as Deputy Mayor for two terms, from 1991, Clos reorganized the economic and financial structures of Barcelona City Hall to meet the challenges of the Olympic Games. He was also instrumental in establishing a financing program for further investment following the Olympics.